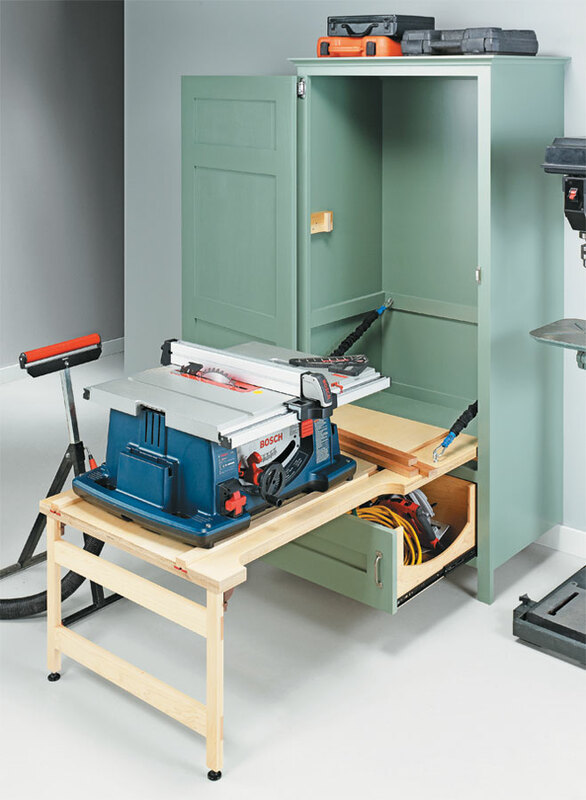 A benchtop table saw is a great space-saving option for a garage or small shop. 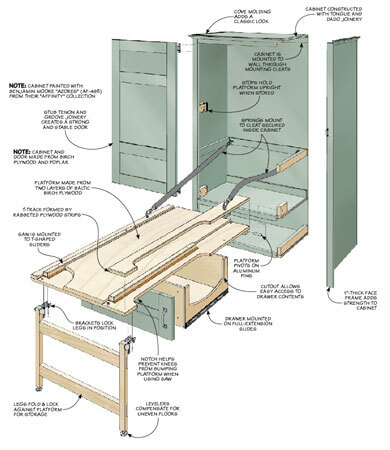 And this unique, hinged platform allows you to tuck the saw away at the end of the day and reclaim valuable floor space. 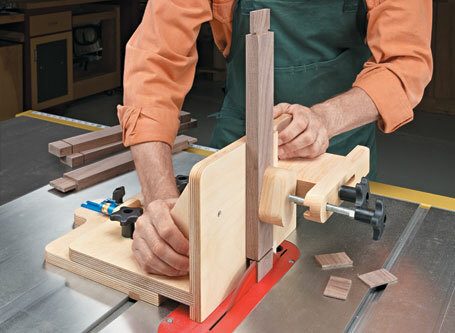 The platform features sliding mounts for your saw. Heavyduty springs counterbalance the weight of the platform so you can easily fold it into the cabinet or drop it down and extend the legs for use. The attractive cabinet is part of a wall-mounted workstation that includes a bench and upper cabinet. All the plans are included so you can build any or all of the components to suit your needs. 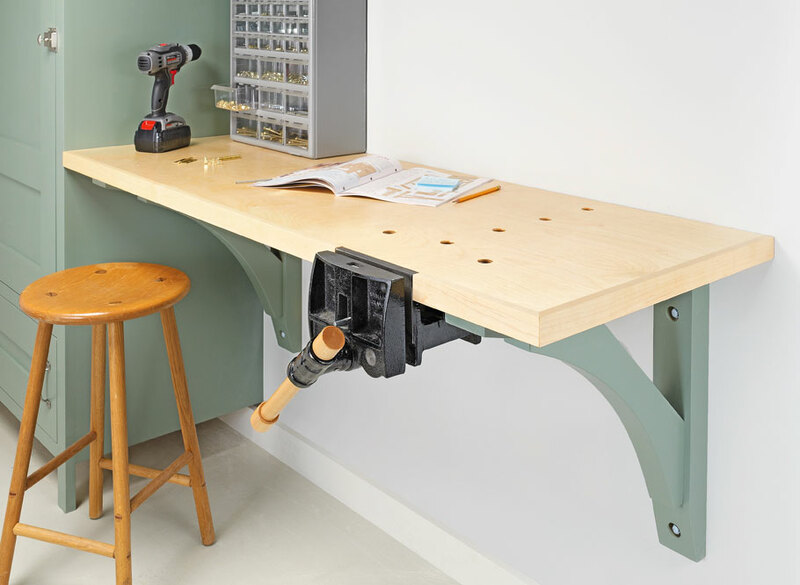 It’s a great-looking way to create a functional workstation. 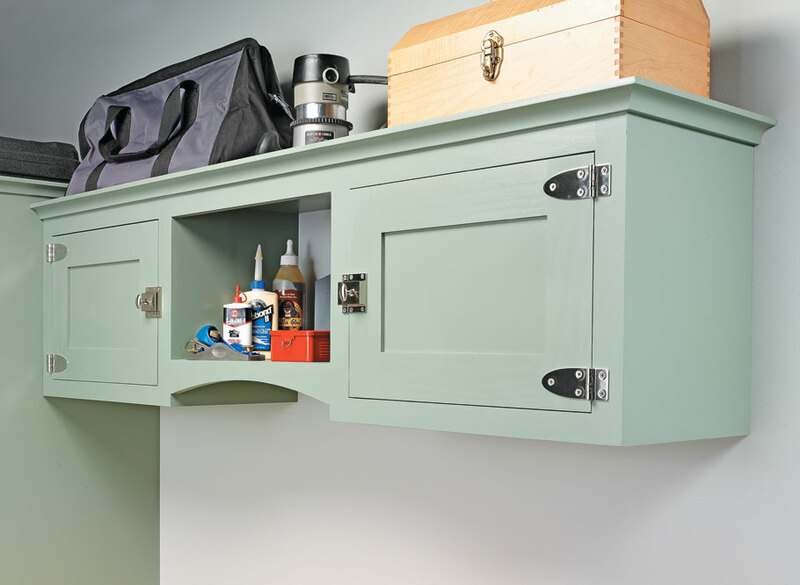 Miter joints don't have to be a trial-and-error chore. 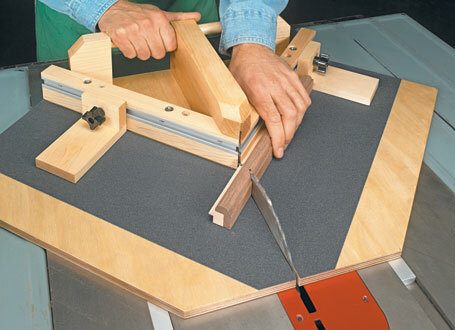 With this miter sled, you can cut perfect joints every time. 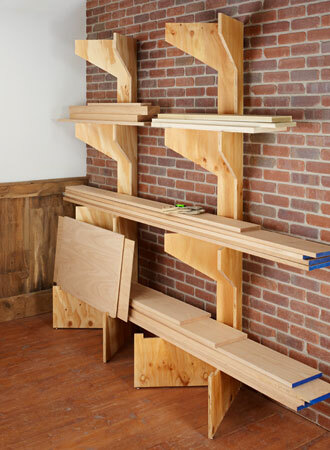 All it takes is one sheet of plywood to build these strong and sturdy racks that fold for easy storage.